The Zeleny Dol Buyan-M class missile corvette of the Russia’s Black Seas Fleet will conduct tasks in the Mediterranean sea for the first time, according to the Russian Defense Ministry’s head of Black Sea Fleet’s information department. MOSCOW (Sputnik) — The Zeleny Dol Buyan-M class missile corvette of the Russia’s Black Seas Fleet has entered the Mediterranean Sea to join the country’s permanent naval task force in the Mediterranean, the Russian Defense Ministry’s head of Black Sea Fleet’s information department said Saturday. “Today, the Zeleny Dol missile corvette and the Kovrovets minesweeper of the Black Sea Fleet left Sevastopol to begin carrying out tasks as part of Russia’s permanent naval task force in the Mediterranean,” Vyacheslav Trukhachev said. The Lebanese transport minister said that Russia notified authorities of Lebanon, Turkey and Cyprus that its navy would begin exercises in the Mediterranean Sea at midnight on Friday. 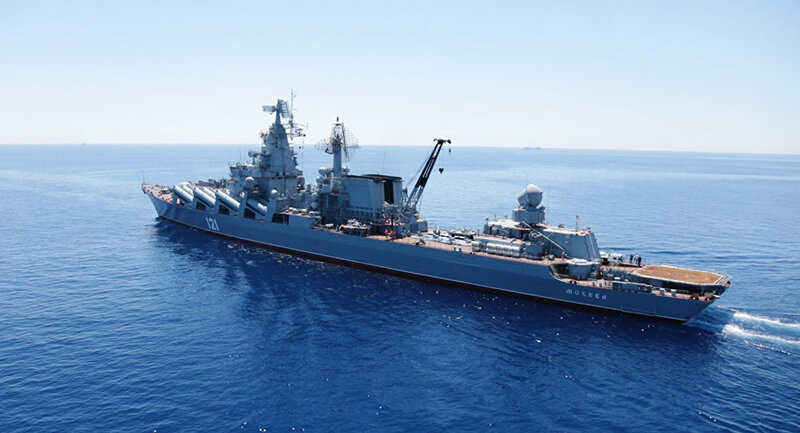 Russia notified authorities of Lebanon, Turkey and Cyprus that its navy would begin exercises in the Mediterranean Sea at midnight on Friday, the Lebanese transport minister said. “We, Cyprus and Turkey are informed of the fact that Russian manoeuvres will begin today at midnight,” Ghazi Zeaiter told Al Mayadeen TV channel. Russian officials have not commented on the issue yet. Earlier on Friday, Zeaiter said Lebanon was unable to satisfy Moscow’s request to reroute civilian aircraft flying over a coastal region over the three-day Russian military drills planned in the Mediterranean, as the country’s civil aviation had no alternative routes. The French Navy’s nuclear-powered aircraft carrier the Charles de Gaulle, which sailed Wednesday from southern France to the eastern Mediterranean to support the fight against ISIL, isn’t as powerful as some might think, the National Interest reported. The 42,500-ton warship is expected to play a key role in France’s anti-ISIL campaign serving as a platform for French airplanes to land. The aircraft carrier is heading to the coast of Syria or Lebanon to assist French forces already engaged in the anti-ISIL fight.According to the National Interest, the Charles de Gaulle can carry a maximum of 40 Rafale fighter jets, one Dassault-Breguet Super Etendard carrier-born strike fighter, one Northrop Grumman E-2C Hawkeyes aircraft and a bunch helicopters. Despite the array of deadly aircraft on board the ship, when it comes to a firepower the Charles de Gaulle doesn’t even come close to the Nimitz or Ford-class aircraft carriers made by the United States, which can carry as many as 130 F/A-18 Hornets or 90 aircraft of different types. “The ship is less than half the size [of a Nimitz-class aircraft carrier] and it doesn’t have the deck space to accommodate as many aircraft or launch and recover those jets at the same rate,” the National Interest said. The Charles de Gaulle’s flight deck isn’t as long as that of US aircraft carriers and that’s why it can’t simultaneously launch and recover operations. Furthermore, although the French aircraft carrier is said to carry 40 fighter jets, in reality it doesn’t carry that many planes at any one time, the US magazine said. Despite being not so powerful in comparison with the aircraft carriers of other countries, the Charles de Gaulle is still a “relatively capable vessel,” the source said.The sailing of the French aircraft carrier is important, especially in light of last week’s terrorist attacks, as Hollande has vowed to punish ISIL forces which claimed responsibility for the killings. The move will provide a boost to multinational efforts, led by Russia and the US, aimed at tackling ISIL, the brutal group responsible for countless atrocities in the Middle East and beyond. Its latest assaults include the crash of a Russian passenger jet in Egypt, multiple deadly attacks in Paris on November 13 and bombings in Beirut two days earlier.